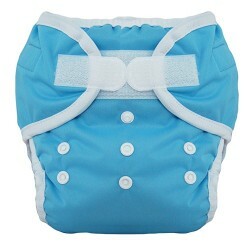 Cloth Diaper Tip: Done with diapers? Don't pack them away too early. 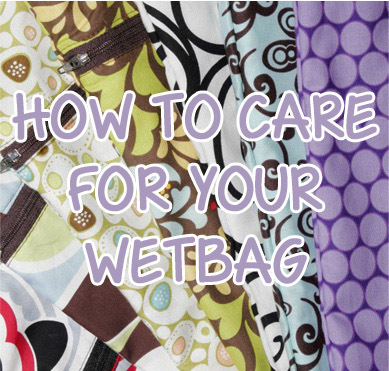 Are you done with cloth diapers? Have plans to store them in the attic, pack them away in totes or even donate them? 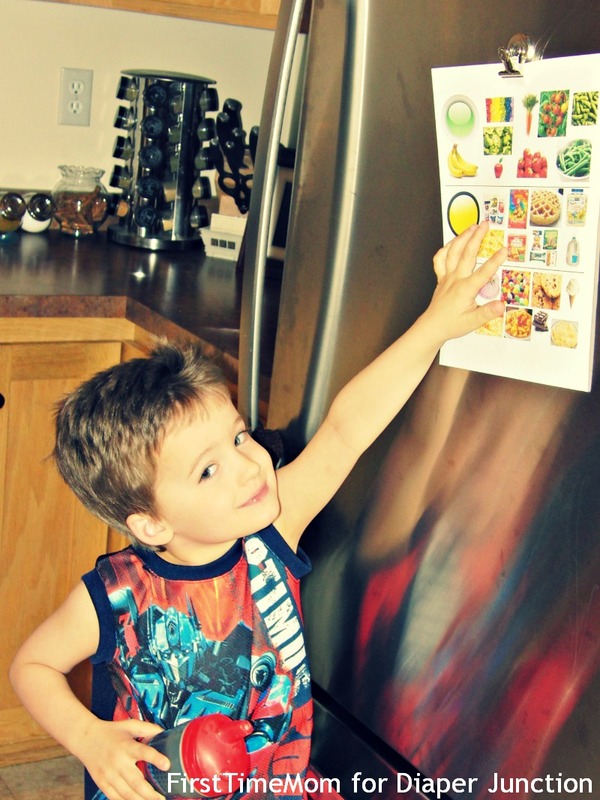 You may want to consider keeping some on hand for a few years after your little ones have potty trained. Here's why. The swing is from Walmart and is well worn with a tattered green canopy and faded upholstery, but it's heaven to me and the girl who is the love of my life. For who knows how many brief moments, we lay there, her gangly knees pulled up close to my body and her spindly little arm thrown casually over my shoulder and we sway back and forth to the rhythm of the creaky swing. 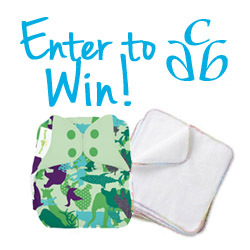 Did you enter to win last week's Feed Your Stash Friday Giveaway for an Irwin or Maathai BumGenius cloth diaper and Diaper Rite cloth wipes? Today we're announcing the lucky winner. Keep reading to see if it's you! 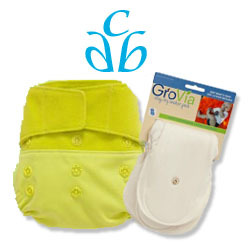 04/26/13 FYSF, Win a NEW GroVia Citrus Shell and Soaker 2 pack! We're celebrating the reveal of GroVia's two newest colors, Persimmon and Citrus! We gave our Facebook fans a chance to choose and it was close but we chose Citrus for this week's giveaway! Spring is here and with it comes the promise of 6 months of warm weather where we will gradually lose the need to wear sweaters and coats as the temperature rises and we box our warm clothing for tank tops and flip flops. When my daughter was still in diapers, the nerdy cloth diaper-obsessed mom in me would get excited that the weather was finally warm enough to show off her fluffy bum. Mom to Mom Monday: Back to work, Back to reality. Ever wonder what it would be like to take a break from being a stay-at-home-mom and go back to work, outside the home? Well I got to live that "dream" for a few days this weekend at Diaper Junction! Ready to see who won our great summer inspired giveaway for a Mother ease Swim Diaper and Flexi Specs kids sunglasses? 04/19/2013 FYSF, Win an Irwin or Maathai BumGenius and Cloth Wipes! Another great Feed Your Stash Friday Giveaway and you voted for it! 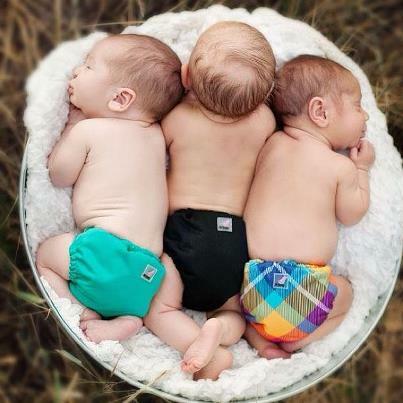 This week's giveaway features new prints from BumGenius, Irwin & Maathai! Diaper Junction's Photo Contest "Things that make you go VROOM!" New Photo Contest from DiaperJunction.com! Submit your themed photo and you could win! Virginia Beach Great Cloth Diaper Change is almost here! This Saturday join us in Virginia Beach at Diaper Junction as we commit to changing diapers in an attempt to set yet another Guinness World Record! April 20, 2013 is the 3rd Annual Great Cloth Diaper Change! 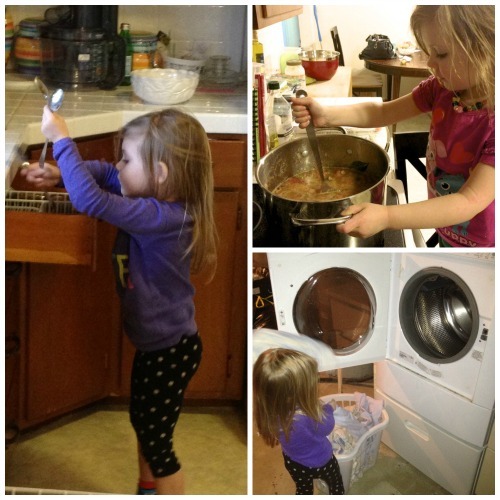 My three year old does chores. She does. She's been doing them since she was about 2 ½ , actually. It all started when a friend of mine came over to watch her for me and I got home to find out that my little Bunny had picked up all of her toys by herself thanks to my friend's kind but firm instruction. It was a “duh” moment for me. Of course she was capable of picking up her toys but being her Mommy since she was incapable of doing anything, somehow her development had brought her to a place of being capable of new responsibilities without my realizing it.